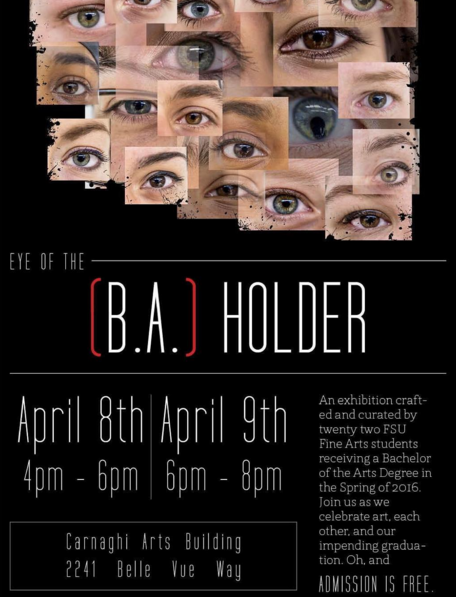 An exhibition crafted and curated by twenty-two FSU Fine Arts students receiving a Bachelor of the Arts Degree in the Spring of 2016. Join us as we celebrate art, each other, and our impending graduation. Oh, and ADMISSION IS FREE.